The day-to-day running of our company is led by an Executive Management Team, which reports to our Board of Directors. 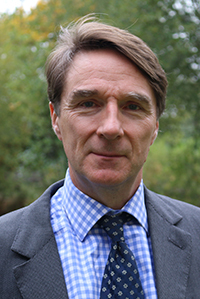 Paul Sheffield joined the Board in June 2014 and was appointed as Senior Independent Director in July 2015. He is a Fellow of the Institution of Civil Engineers and is also a member of the Supervisory Board of BAM Group in the Netherlands. Paul is also a specialist adviser to Manchester Airport Group, working on their £2 billion capital programme at Manchester and Stansted Airports. 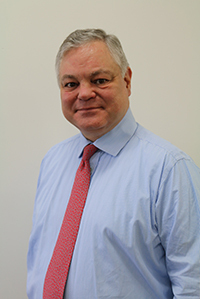 In his executive career, he spent over 32 years with Kier Group plc – the construction, services and property group. Graduating as a Civil Engineer in 1983, Paul spent 15 years working on major capital projects around the world, before taking responsibility for a number of business units within the Group. Paul was on the Group Board for 10 years and served as its chief executive officer between 2010 and 2014. Between 2014 and 2017 he headed up the construction operations for the European and Middle Eastern business for Laing O'Rourke Services, delivering some of the biggest capital projects, such as Crossrail, Hinkley Point C Nuclear Power Station and major capital projects in the water industry. Through his various roles in business leadership, Paul has gained significant experience of strategy, productivity and efficiency – key facets of any successful organisation. 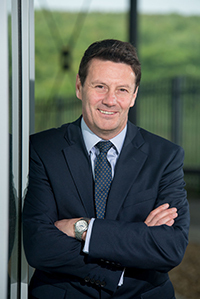 Ian joined Southern Water as CEO in January 2017 and was appointed to the Board from 1 February. Ian has more than 30 years of global water and environmental experience and a significant record of achievement operating in both publicly quoted FTSE 100/250 companies and privately held enterprises. Ian holds an honours degree in Civil and Environmental Engineering and is a Chartered Member of the ICE, CIWEM. Throughout his career he has managed major utility, construction and consulting businesses in the UK, Belgium, India and the USA. He has enhanced this practical experience with professional executive education, most notably at Harvard Business School. He has extensive experience in the UK regulated utility, construction and environmental services sectors, holding board positions across a broad range of commercial and statutory organisations. In his previous role he served as an executive director of the Pennon Group plc and chief executive of its subsidiary company, Viridor, one of the largest renewable energy and recycling companies in the UK. In a non-executive capacity, he serves as an independently appointed member of Greater Manchester Authorities Low Carbon Hub Board and Scottish Government’s 2020 Climate Change Board. He has also provided expert input to Government Review Groups and Industry Partnerships with particular emphasis on the UK skills agenda and development of future smarter regulation and environmental policy. Sebastiaan joined us in December 2018 and was appointed to the Board in the same month. He started his career with more than 10 years in the Royal Navy where he attended the Dutch Royal Naval Academy, and the University of Technology Delft, specialising in Operations (Artillery) and Information Technology. After completing an MBA at the INSEAD business school, he worked for listed companies - as well as private and private equity portfolio companies - in management consulting. This was followed by a number of senior finance roles in telecoms (infrastructure), consumer goods, business services and financial services. He was also with Electricity NorthWest (previously a division of United Utilities) in Warrington. Sebastiaan has worked and lived in the Netherlands, France, Switzerland, Belgium, Luxembourg and the UK. 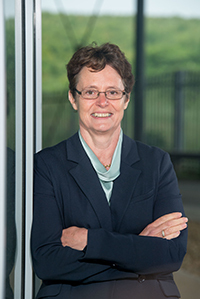 Rosemary Boot joined the Board in March 2015 and was appointed as Chair of the Audit and Risk Review Committee in July 2017, having previously served as the interim Chair since March 2017. 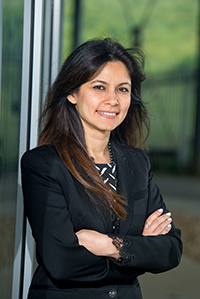 Since March 2017 she has been a non-executive director of Impact Healthcare REIT plc, a UK care home real estate investment trust that is listed on the Specialist Fund Segment of the London Stock Exchange. 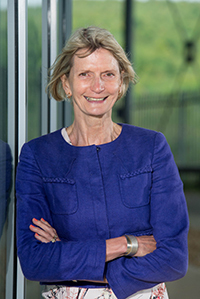 Previously Rosemary was the chief financial officer of Future Cities Catapult, one of a network of technology and innovation centres established by the UK Government. She has also worked at Circle Housing Group and was involved in setting up the government-owned Low Carbon Contracts Company and Electricity Settlements Company. From 2001 to 2011 she was group finance director of the Carbon Trust, the independent company set up in 2001 to work with business and the public sector to accelerate the move to a sustainable, low carbon economy. Prior to that, she worked for 16 years as an investment banker, primarily advising large listed UK companies on mergers and acquisitions. Rosemary is also a Governor of the Conservatoire for Dance and Drama, the higher education institution for the performing arts, and a Trustee of Green Alliance, the environmental think tank. Mike Putnam joined the Board in September 2017. 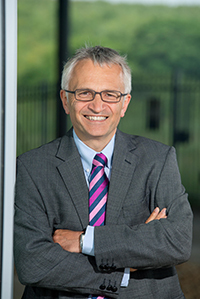 A Chartered Engineer and a Fellow of both the Institution of Civil Engineers and Royal Institution of Chartered Surveyors, Mike has over 25 years' experience leading and managing multiple businesses across development and construction. He is known for his values-based approach to leadership. Mike has since successfully transitioned to a plural career with a portfolio of Non-Executive Directorships. Mike was President and CEO of Skanska UK between 2009 and 2017, responsible for a business with circa £1.8 billion revenues and 6,000 employees. Prior to this, he was Executive Vice President and main Board Director from 2001, as well as working across the group as a non-executive director on some of the international boards. Throughout Mike's career he has been closely involved with the successful delivery of many high-profile projects and programmes. Externally, Mike has been very active on the built environment change agenda, working with government and industry as a member of the Construction Leadership Council on the Industrial Strategy & Sector Deal. 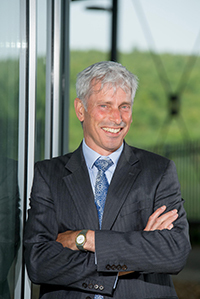 He has also been chair of the Green Construction Board; a member of the CBI Construction Council, influencing the future direction of the industry and linking into Government; and a non-executive director of the Association of Consulting Engineers. With proven all-round business and operations capability, Mike has particular strengths in: strategy development and deployment; results delivery; inclusive people and values-based leadership and transformational change. Appointed to Southern Water in September 2017, Wendy Barnes, a portfolio non-executive and an independent consultant in cyber security, has wide experience in utilities, security and defence sectors. Having started her career as a statistician with British Nuclear Fuels, Wendy went on to have an executive career in customer service and business development with United Utilities. In recent years, Wendy has been a non-executive director in the MOD, government security departments, Met Office and Ofwat. She is currently a non-executive director at the National Crime Agency, OCS Group, BMT Group and Scottish Power Networks and an Associate Director of Templar Executives. Wendy has chaired, and been a member of, several Audit and Remuneration Committees and has a particular focus on developing risk management and good governance, as well as helping organisations take on change in challenging environments. In 2011-12, Wendy was a Director General in the Department of Energy and Climate Change (DECC) where she was responsible for Corporate Services and legacy nuclear policies. Appointed in September 2017, Sara Sulaiman is an investment principal at the Infrastructure Investments Group of JP Morgan Asset Management. Before joining JP Morgan, Sara was an investment director at Arle Capital Partners, a London based mid-market private equity firm. Prior to that she worked on corporate finance transactions both within Simmons & Company International, a specialist energy investment bank, and KPMG's Global Infrastructure and Projects Group (within the Energy & Natural Resources team). Sara started her career in industry working as a finance analyst in Petroleum Development Oman and Shell Chemicals in London. She holds a Bachelor of Arts in Economics from Yale University, an MPhil in Economics from the University of Cambridge, and is an Associate of the Chartered Institute of Management Accountants. In addition to her board role on Southern Water, Sara currently serves as a non-executive director on the board of Nature Investments SARL. Richard joined SW in July 2018 as General Counsel and Company Secretary. He has held similar roles in a number of listed and private companies and brings a wide experience of legal and governance matters. He holds a law degree and a MBA and is a qualified solicitor.